Dana, Julian. 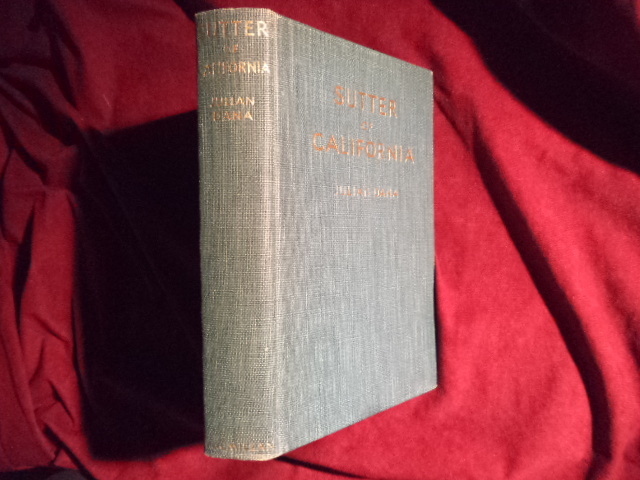 Sutter of California. A Biography (gold rush). Photo available. New York. Macmillan. 1936. 423 pps. Octavo. Hardcover. Reprint. Illustrated. Important reference work. Fine copy. Dana, Marshall N. Newspaper Story. Fifty Years of the Oregon Journal. 1902-1952. 50 Years. Photo available. Portland. Binfords & Mort. 1951. 230 pps. Octavo. Decorated hard cover. First edition. Illustrated. Important reference work. Fine copy. Dangberg, Grace. Carson Valley. Historical Sketches of Nevada's First Settlement. Photo available. Reno. Carlisle. 1991. 4to. Hardcover. Reprint. Illustrated. Fine copy in near fine (very light shelf wear) dust jacket (in mylar). Dangberg, Grace. Carson Valley. 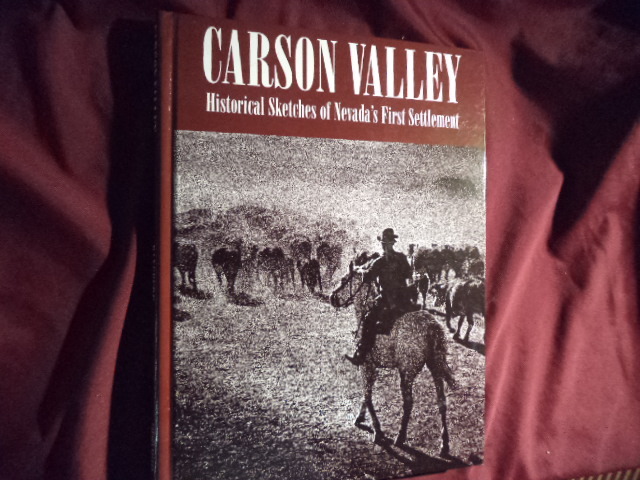 Historical Sketches of Nevada's First Settlement. Photo available. Reno. Carlisle. 1991. 4to. Hardcover. Reprint. Illustrated. Fine copy in good (very light, edge chips shelf wear) dust jacket (in mylar). Dangberg, Grace. Carson Valley. Historical Sketches of Nevada's First Settlement. Photo available. Reno. 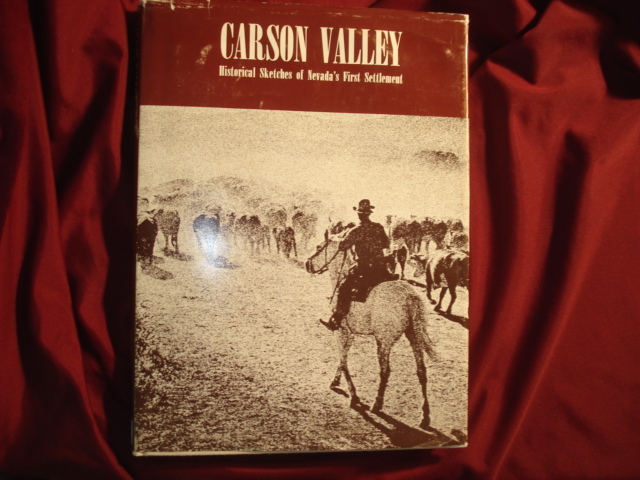 Carson Valley Historical Society. 2002. 150 pps. 4to. Hardcover. Reprint. Illustrated. Important reference work. Fine copy. Daniel, Cletus E. Bitter Harvest. 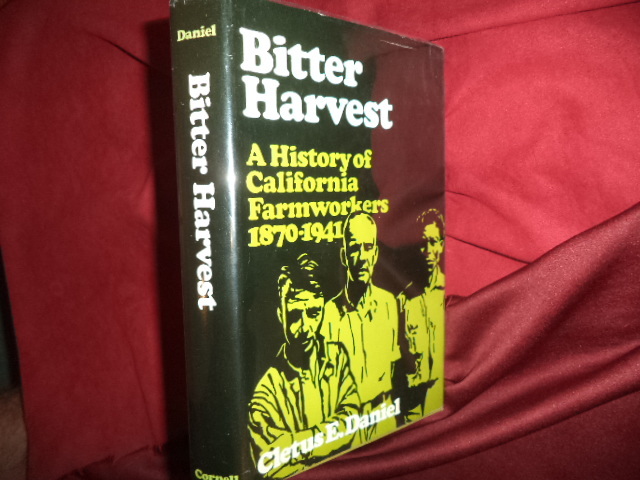 A History of California Farmworkers. 1870-1941. Photo available. Ithaca. Cornell University Press. 1981. 348 pps. Octavo. Hardcover. First edition. Illustrated. Important reference work. Fine copy in fine dust jacket (in mylar). Daniel, Judy. Bodie. The Golden Years. Photo available. Charleston. Self published. 2012. 295 pps. Octavo. Soft cover. First edition. Illustrated. Important reference work. Fine copy. Daniels, Zeke. The Life and Death of Julia C. Bulette. 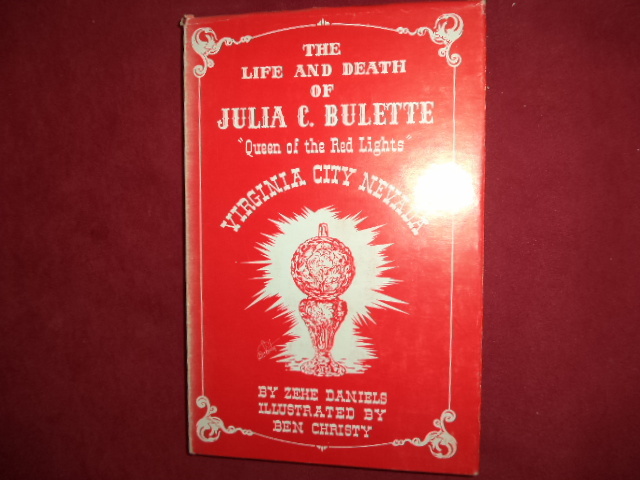 "Queen of the Red Lights" Virginia City Nevada. Photo available. Virginia City. Lamp Post. 1958. 65 pps. Octavo. Hardcover. Stated first edition. Illustrated. Important reference work. Photo card of Julia laid in. Fine copy in near fine (faded spine) dust jacket (in mylar). Danner, Ruth Fenstermaker. Gabbs Valley, Nevada. Its History & Legend. Photo available. Gabbs. Self published. 1992. 416 pps. 4to. Soft cover. First edition. Illustrated. Important reference work. Fine copy. Danziger, Edmund Jefferson. 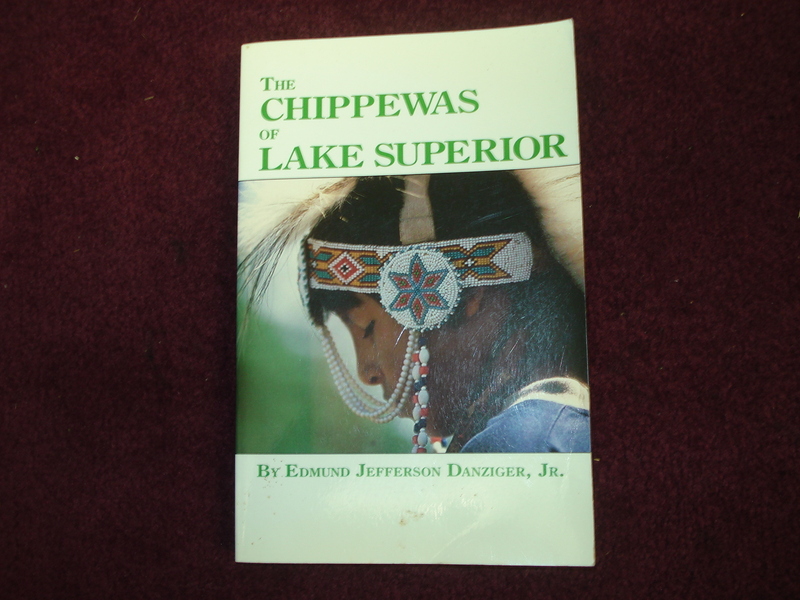 The Chippewas of Lake Superior. Photo available. Norman. University of Oklahoma Press. 1990. Octavo. Soft cover. Illustrated. Fine copy. Dart, Anna Coggins. Shining Cycles of Loves (Sacramento). Oakland. Wayside Press. 1959. 267 pps. + references. Octavo. Hardcover. First edition. Fine copy in fine dust jacket (in mylar). Dary, David. 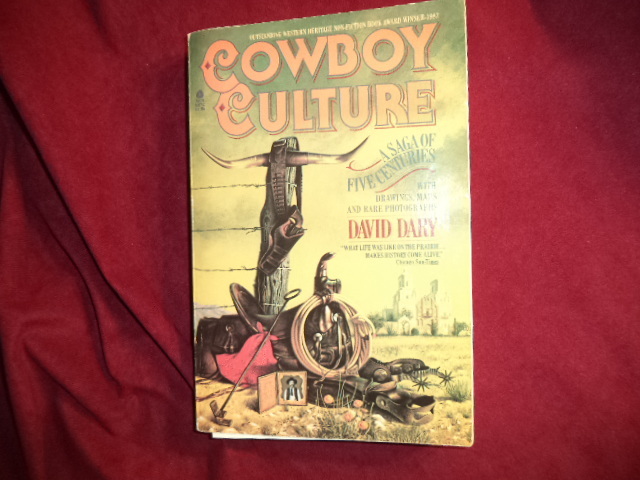 Cowboy Culture. A Saga of Five Centuries. Photo available. New York. Avon. 1981. Octavo. Soft cover. First edition. Illustrated. Important reference work. Fine copy. Dary, David. 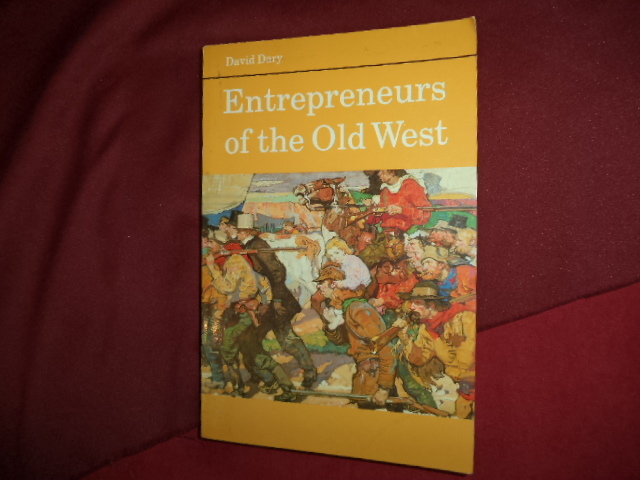 Entrepreneurs of the Old West. Photo available. Lincoln. University of Nebraska Press. 1987. 368 pps. Octavo. Soft cover. First edition thus. Illustrated. Important reference work. Fine copy. Dary, David. The Oregon Trail. An American Saga. New York. Alfred A. Knopf. 2004. 412 pps. Octavo. Hardcover. First edition. Illustrated. Fine copy in fine dust jacket (in mylar). 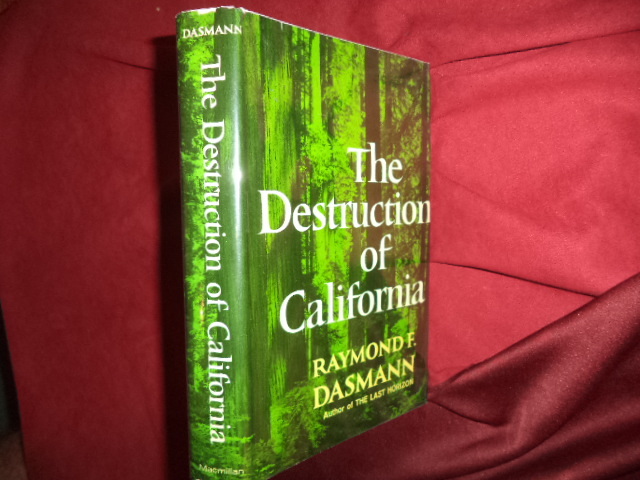 Dasmann, Raymond F. The Destruction of California. Photo available. New York. The Macmillan Company. 1965. 247 pps. Octavo. Hardcover. Stated first edition. Illustrated. Important reference work. Fine copy in fine dust jacket (mylar). Davidson, Harold. Edward Borein. Cowboy Artist. An Illustrated Biography of the Renowned Western Artist. Photo available. Garden City. Doubleday and Co. 1974. 190 pps. 4to. Hardcover. First edition. Illustrated in color and black & white. Important reference work. Fine copy in fine dust jacket (mylar). 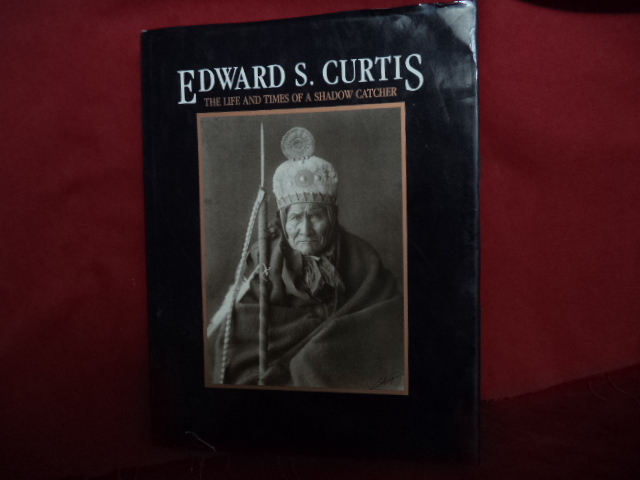 Davis, Barbara A. Edward S. Curtis. The Life and Times of a Shadow Catcher. Photo available. San Francisco. Chronicle. 1985. Folio. Hard cover. First edition. Illustrated. Important reference work. Fine copy in fine (small, closed tear bottom edge) dust jacket (in mylar). Davis, E. Adams. Of the Night Wind's Telling. Legends from the Valley of Mexico. Norman. University of Oklahoma Press. 1946. 276 pps. Octavo. Hardcover. First edition. Illustrated. Fine copy in very good (light shelf wear) dust jacket (in mylar). Davis, Erik. 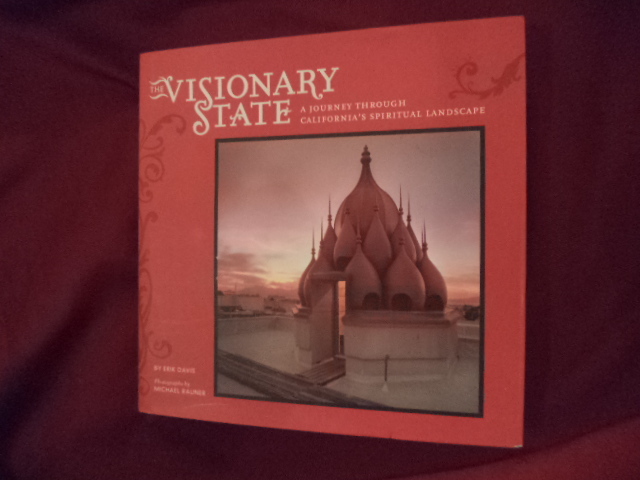 The Visionary State. A Journey Through California's Spiritual Landscape. Photo available. San Francisco. Chronicle Books. 2006. 272 pps. 4to. Hardcover. First edition. Illustrated in black, white and color. Important reference work. Fine copy in fine dust jacket (in mylar). Davis, Leonard M. Milestones and Memories. 1850-2000. The Story of Roseville, California. Photo available. Roseville. Roseville Arts Center. 2002. 166 pps. 4to. Hardcover. Stated first edition. Illustrated. Important reference work. Fine copy in fine dust jacket (in mylar). Davis, Leonard M. Milestones and Memories. Signed by the author. 1850-2000. The Story of Roseville, California. Photo available. Roseville. Roseville Arts Center. 2002. 166 pps. 4to. Hardcover. Stated first edition. Illustrated. Important reference work. 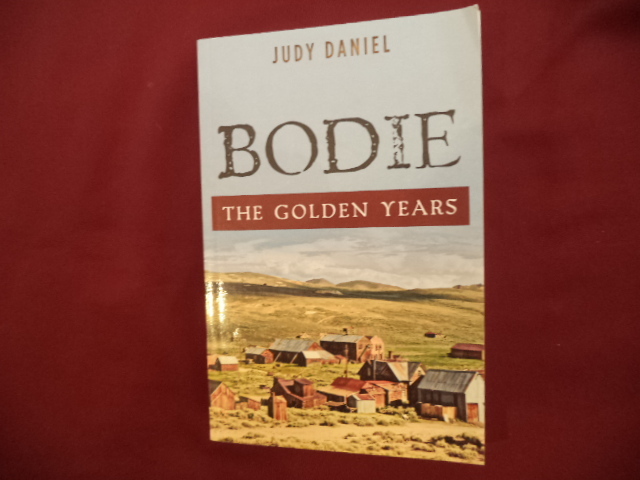 Signed by the author Fine copy in fine dust jacket (in mylar). Davis, Leonard M. Rocklin. Past, Present, Future. 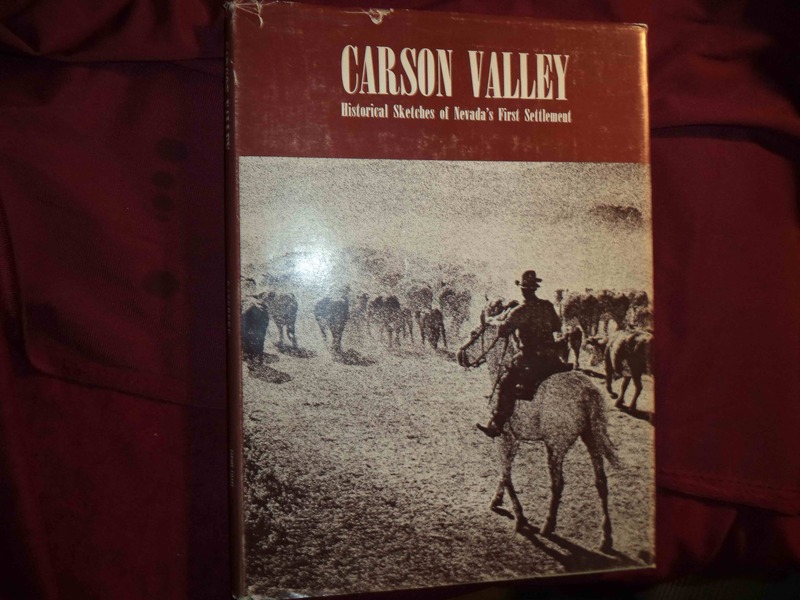 An Illustrated History of Rockin, Placer County, California. From 1864 to 1981. Photo available. Roseville. Rocklin Friends of the Public Library. 1981. 162 pps. Octavo. Soft cover. First edition. Illustrated. Important reference work. Limited edition of 1,000 copies. Very scarce. Fine copy. Davis, Leonard. 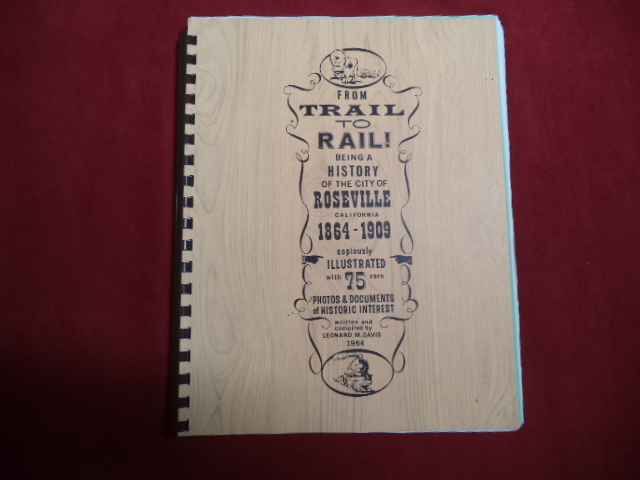 From Trail to Rail! 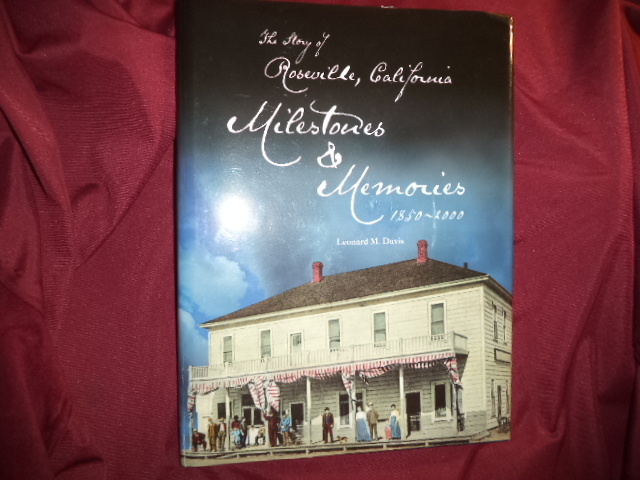 Being a History of the City of Roseville, California. 1864-1909. Photo available. np. Self published. 1964. 111 pps. Octavo. Spiral bound. First edition. Illustrated. Fine copy.